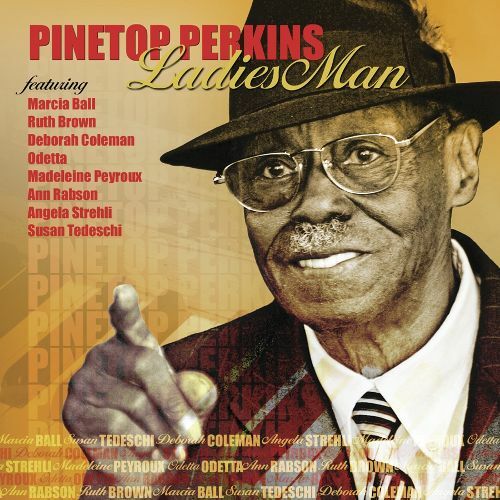 By 2004, Pinetop Perkins may have entered his twilight years, and the fiery action he brought to the 88s in Muddy Waters's band in the 1960s may have mellowed to a smoother blues, but LADIES MAN proves he's still got the juice. 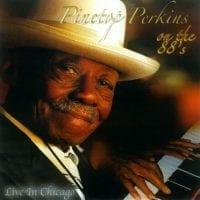 The idea behind the album was to pair Perkins with an assortment of female musicians, all of whom have cited the elder statesman as an influence. 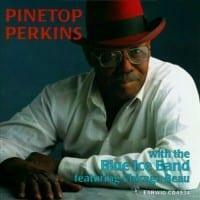 The guest stars, including Ruth Brown, Marcia Ball, and Susan Tedeschi, add texture and flavor to Pinetop's well-worn vocals and still vital boogie-woogie stylings. The tunes Pinetop sings on, from the laid-back "Chicken Shack" to the rollicking "Big Fat Mama," sound as warm and familiar as old friends. But when Madeleine Peyroux takes the mic on "He's Got Me Goin'," unleashing a butter-smooth croon, or when Odetta lays down her deep alto on "Trouble in Mind," the session takes off. Brown's sassy turn on "Chains of Love," one of the album's highlights, recalls the gutsy punch of the Chicago-blues heyday, amid more updated sounds and boogie throwbacks. 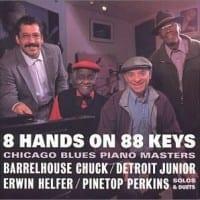 Perkins's fine backing musicians (including Elvin Bishop, whose slide guitar graces "How Long") keep things simmering throughout this legendary pianist's late-period date.